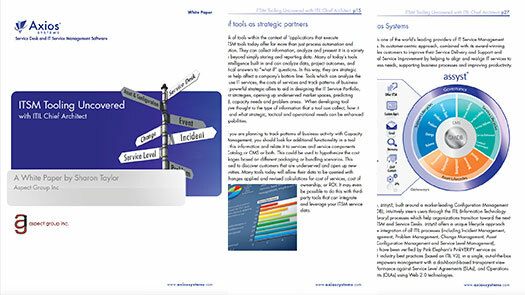 IT industry ideas, insights, research, and how-to guides for IT leaders and professionals. SDI’s Industry Analyst Scarlett Bayes discusses the key processes for IT support functions, discusses how these processes complement each other and can be integrated, and explores automating those processes to achieve maximum efficiency. 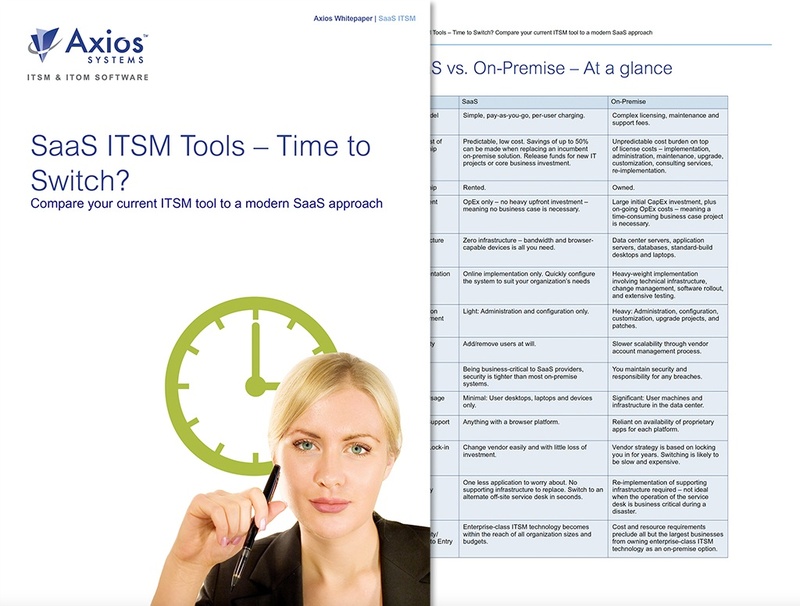 Is it time to change your ITSM tool? 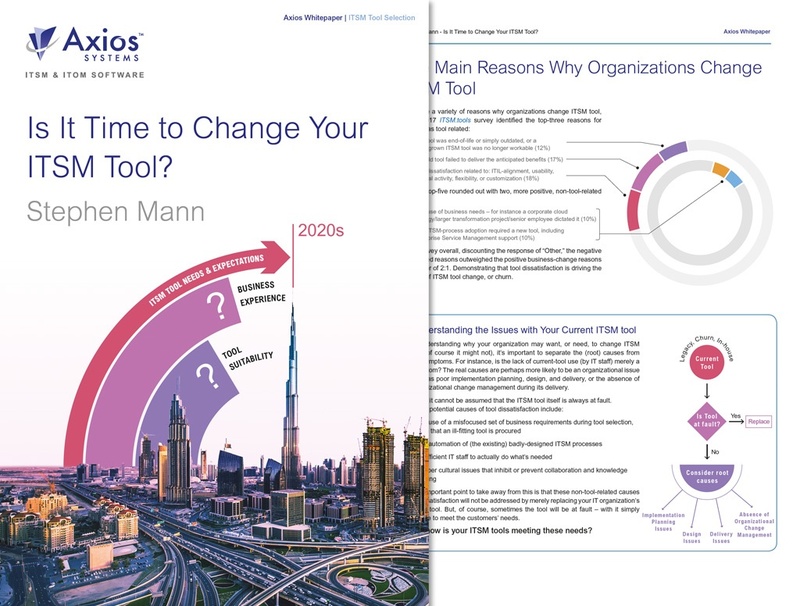 Industry analyst Stephen Mann (ITSM.Tools) discusses the current ITSM tool status quo and challenges, allowing you to consider how well your current ITSM tool is meeting the needs of both IT operations and business-level outcomes for the 2020s. 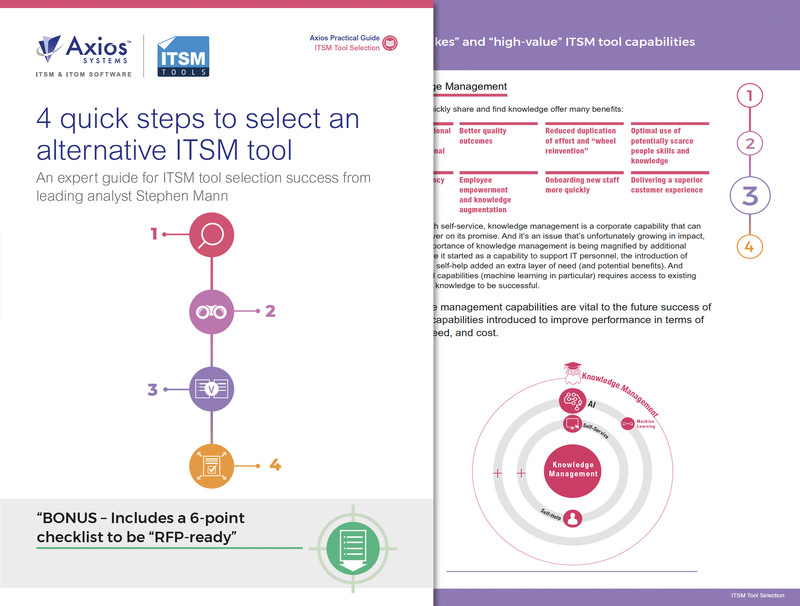 Industry analyst Stephen Mann (ITSM.Tools) provides a practical guide with 4 quick steps to choose your next fit-for-purpose ITSM tool. 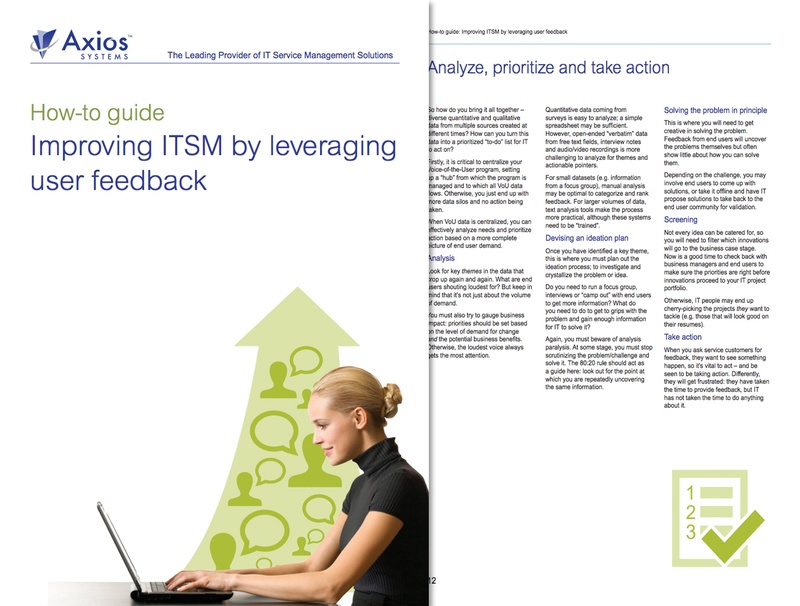 It reveals the commonly-adopted ITIL processes and “high-value” capabilities. 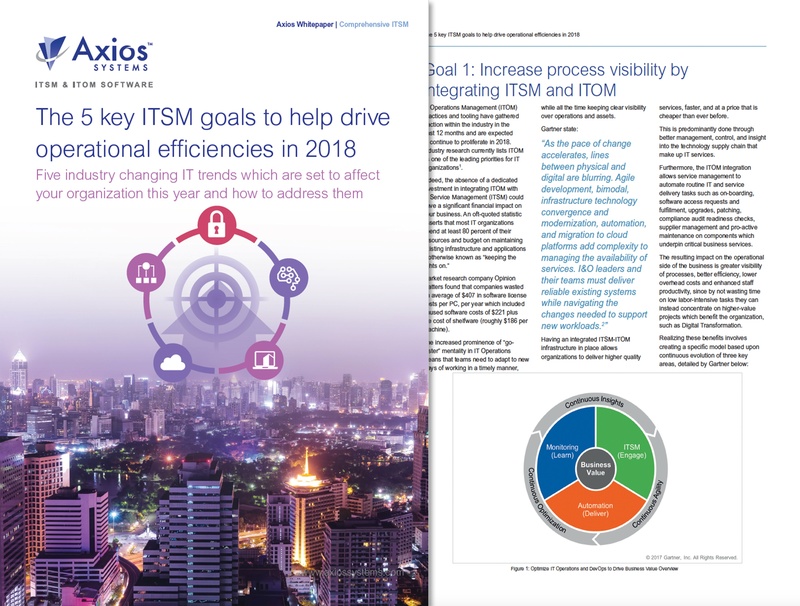 That your next ITSM tool can deliver against the requirements of both IT operations and business-level outcomes for the 2020s. 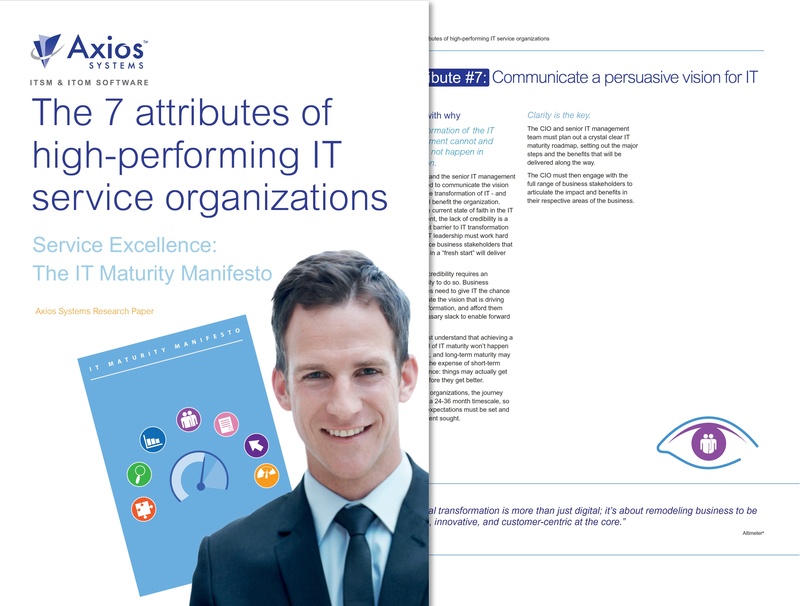 It takes more than just slick processes to reach a state of IT excellence. 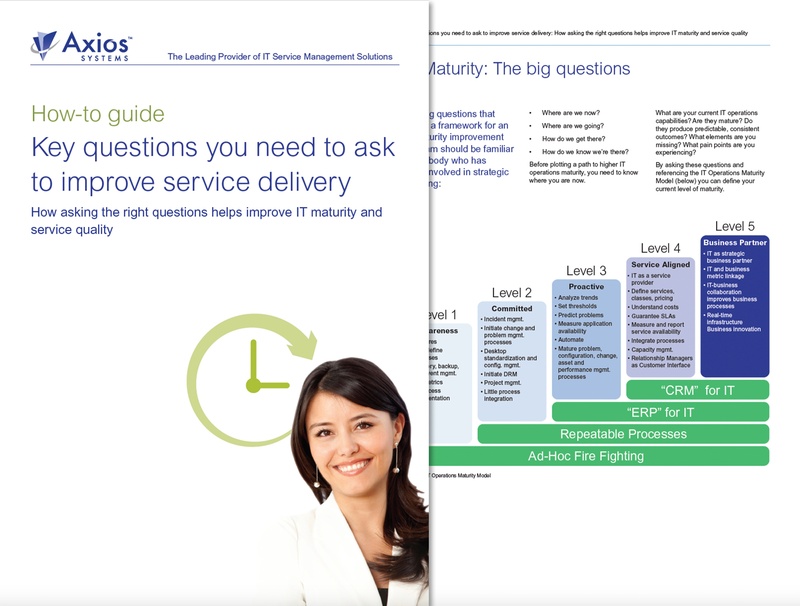 Find out how leading IT organizations harness new paradigms to achieve high maturity. 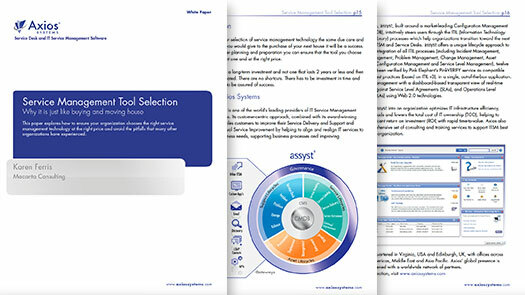 IT organizations are buying IT management tools for the wrong reasons. To select technology that’s fit-for-purpose, first work out what fit-for-purpose really means. 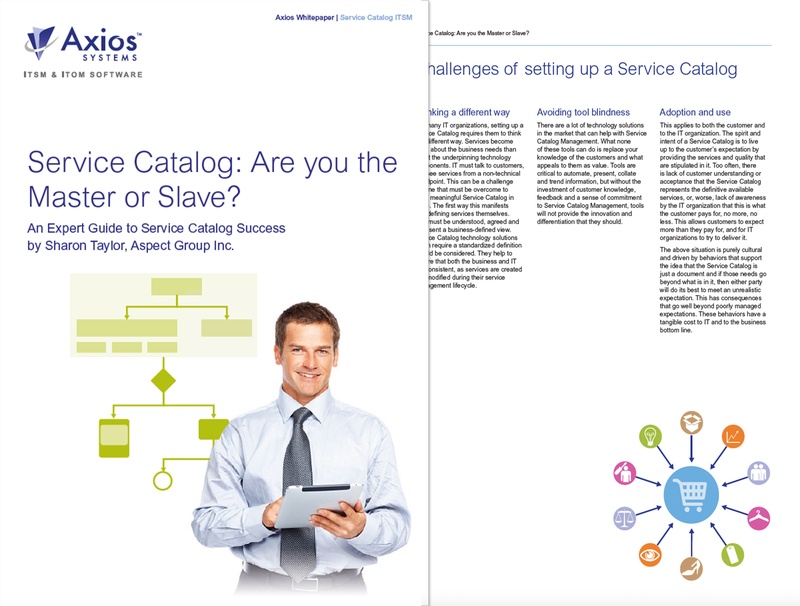 Service catalog: are you master or slave? 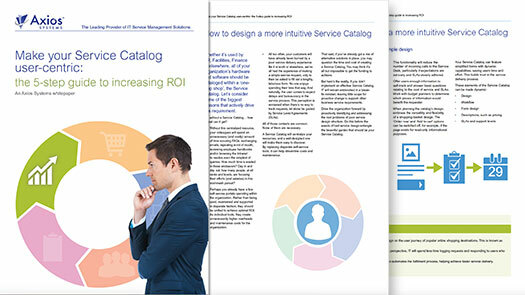 Sharon Taylor (Chief Architect of ITIL v3) explores the art of the Service Catalog: The benefits. How to create one. The challenges and pitfalls. 5 top tips on setting it up and improving it. 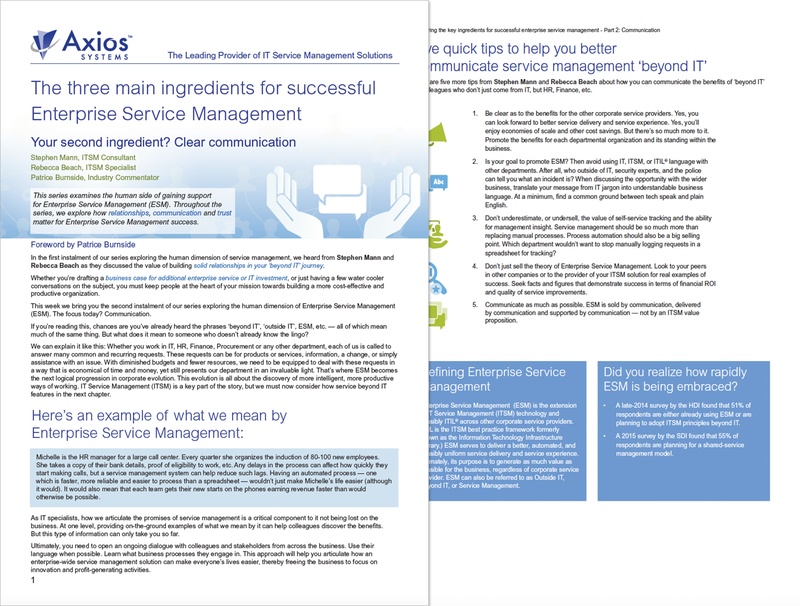 Enterprise Service Management (ESM) applies a common service management model and interface across all service providers in the organization to transform the way internal services work. 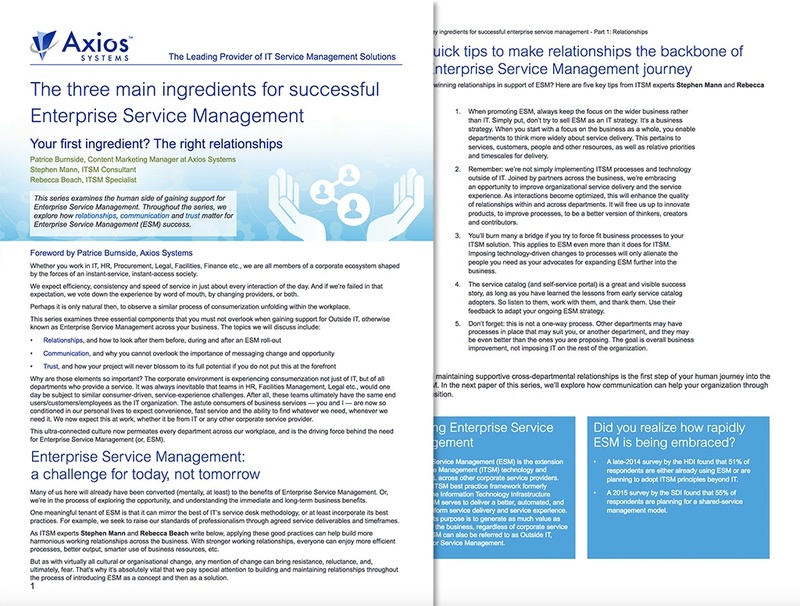 Enterprise Service Management (ESM) is about extending the success that IT has achieved to other internal service providers, like HR and Facilities. But where should you start? 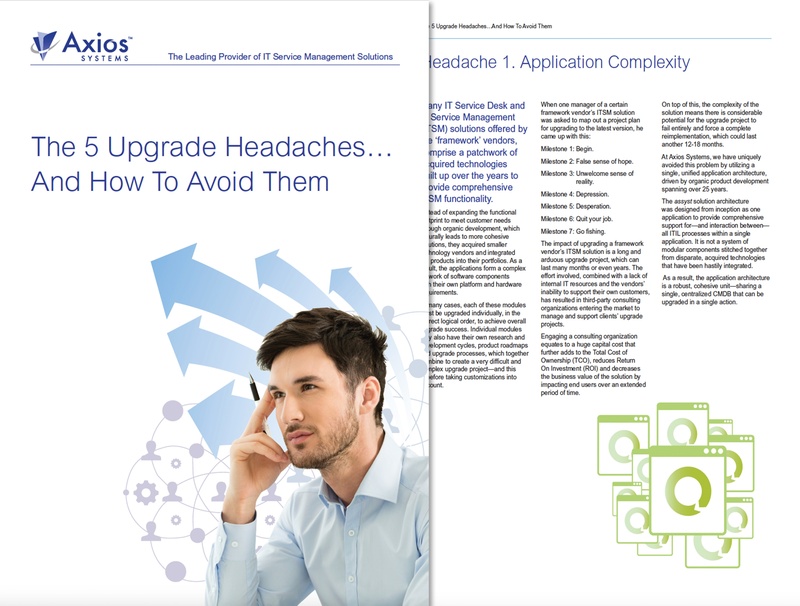 Enterprise Upgrades are often necessary to get access to the latest technology, but often the complexity of the upgrade project makes it impractical or even impossible. Explore the five key IT operations trends for 2018 into 2019 and get recommendations for how you can drive an uptick in operational efficiency, based on extensive analyst research. The right questions will help you get the understanding you need. 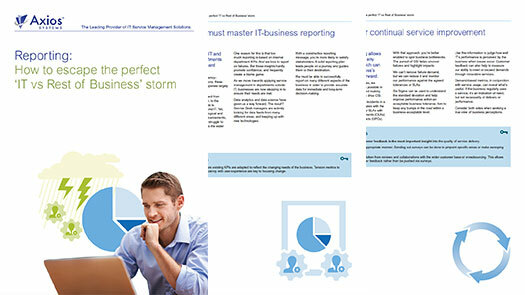 The result is a reality-based IT maturity roadmap that will deliver a capable, agile and cost-effective IT department. In this how-to guide we look at how you can build a Voice-of-the-User (VoU) program to tap into feedback and better align services with end user expectations. 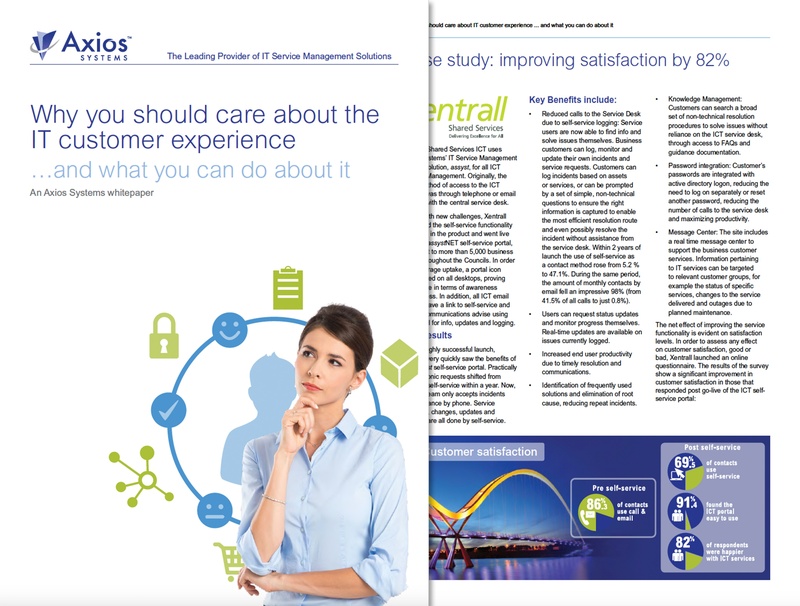 Customer experience (CX) is the battle ground where business is most frequently won and lost. But what does this mean for IT, and what can you do to improve the situation? 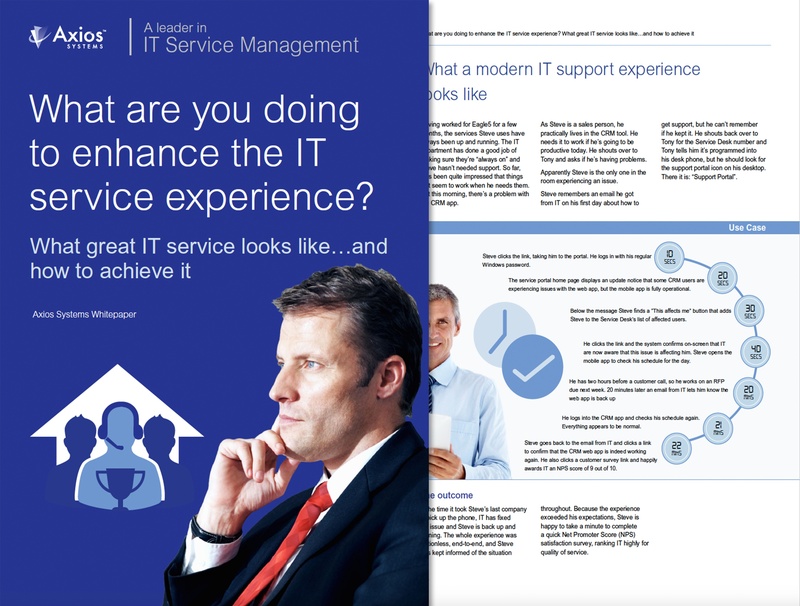 What are you doing to enhance the IT service experience? Do you know what your customers want, why, and how they want it delivered? The challenge is bringing the what, why, and how together in a satisfying IT service experience. Effective supply chains are critical. 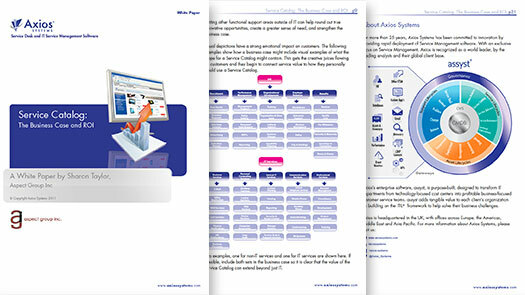 But how can you ensure your service supply chains that deliver efficient services? Service Integration & Management (SIAM) can help. 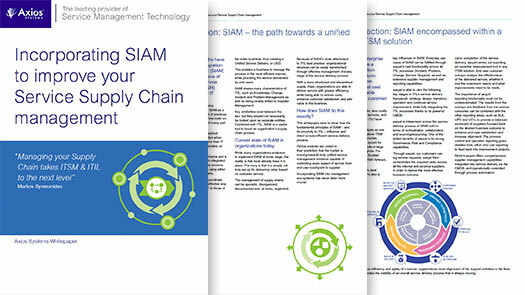 What is Service Integration & Management (SIAM)? Why it is essential in IT now? itSMF CEO Barclay Rae looks at why you need an end-to-end view of your service supply chains. 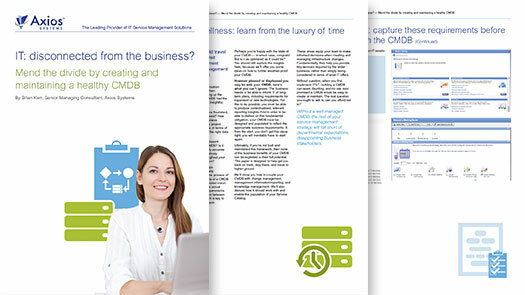 CMDB, IT Asset Management, Service Catalog and automation are all on the rise. But which will have the biggest effect on your organization? Find out more in this whitepaper. Designing or redesigning a Service Catalog? Prioritize the end-user experience, and you’re more likely to achieve higher adoption rates and greater ROI. Avoid unnecessary costs and penalties from software audits. Combat cybercrime with stronger network security. 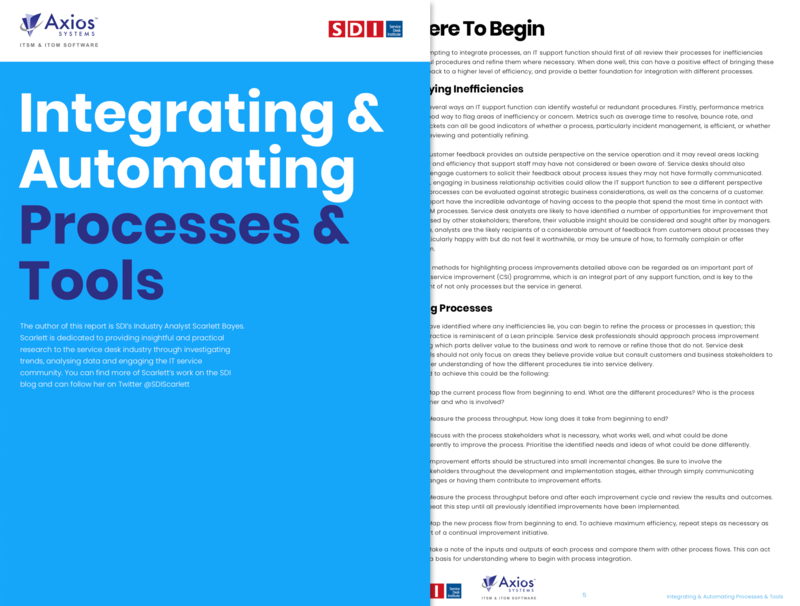 Improve operational efficiency with increased automation. In this whitepaper, we unearth a selection of IT trends predictions from a decade ago, to see which came true, and which didn’t. In this how-to guide we look at how you can build an effective business case for an IT investment to help you gain the budget support and cultural groundswell you need to deliver innovation for the business. Does your IT reporting align with business objectives? If not, you could be driving IT and the business apart: putting your IT budget at risk and damaging the perception of IT. Under pressure to optimize IT services and operations? 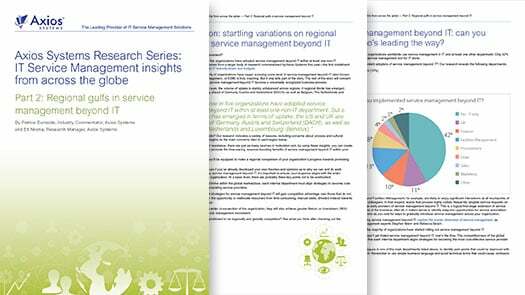 Get actionable insights from Gartner Inc., Deloitte, HDI and the Service Desk Institute in this whitepaper. 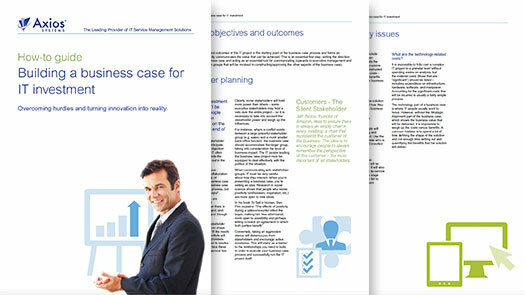 To support business priorities, IT needs to see the business context of IT. A service-view CMDB can provide the visibility you need to align IT activity with business need. 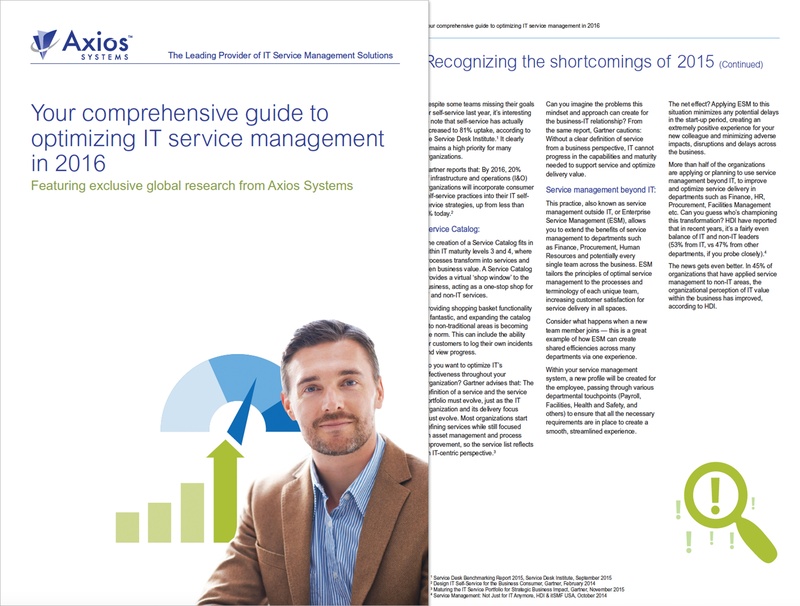 Insights from the latest research, involving IT leaders and IT professionals from 260+ large enterprises. 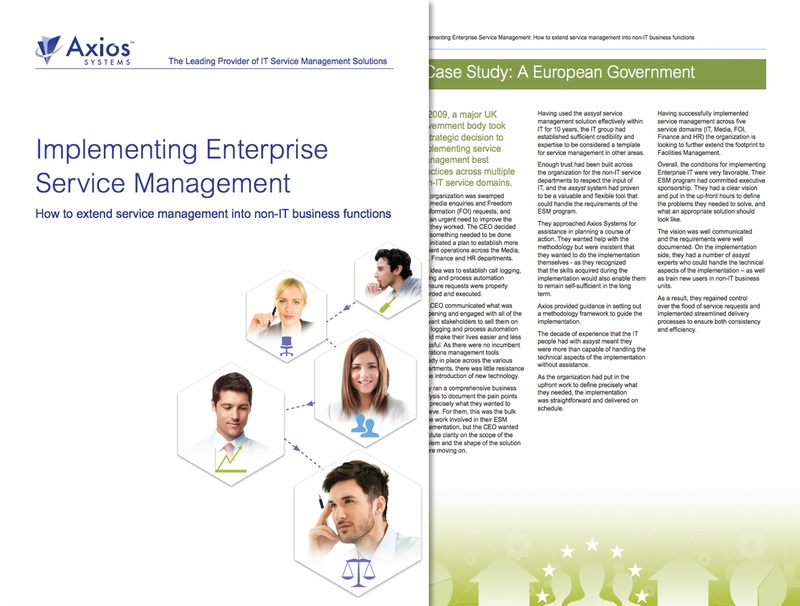 Applying and scaling Enterprise Service Management (ESM) can be challenging. 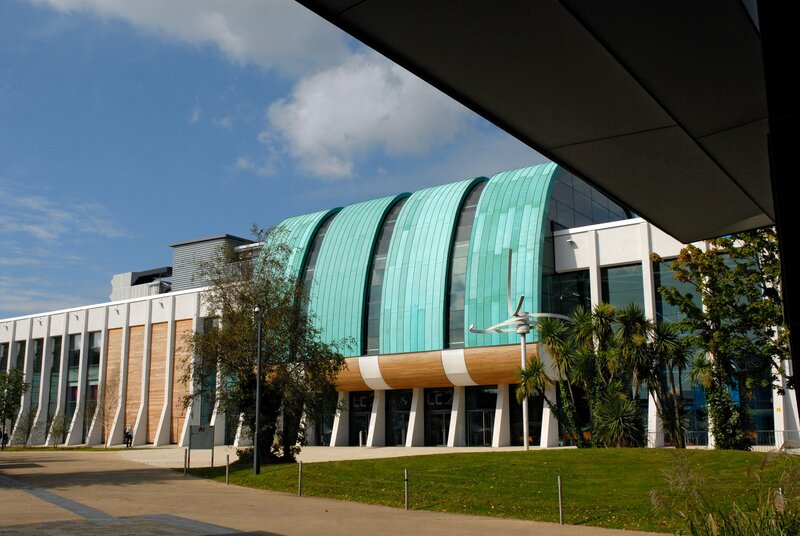 With stronger working relationships, everyone can enjoy better processes and better services. Communicating the benefits of ESM is a critical. No communication means no support. You need ongoing dialogue with colleagues and stakeholders from across the business. 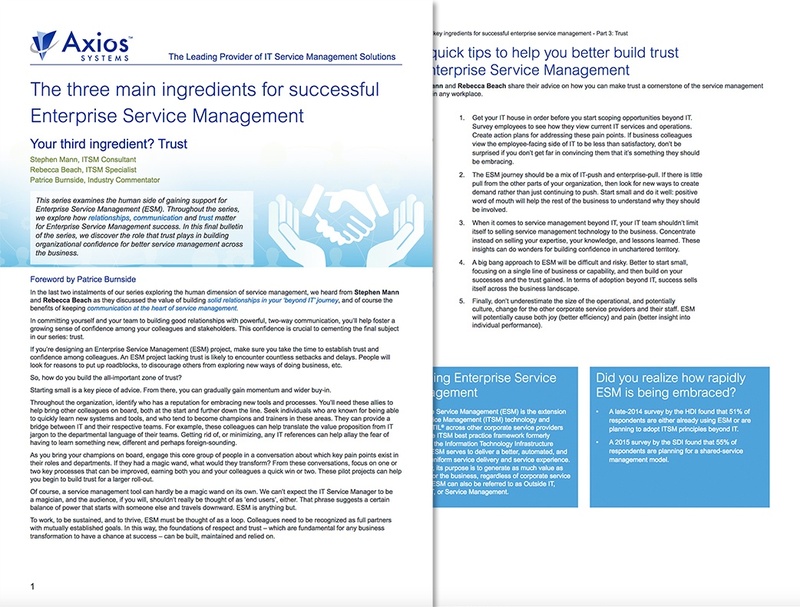 A foundation of trust is essential for IT to expand-out service management practices and tools across the business (ESM). How do you get there? Great results. Great service. Great customer experiences. Innovation is critical to the success of businesses in today’s fast-paced markets. 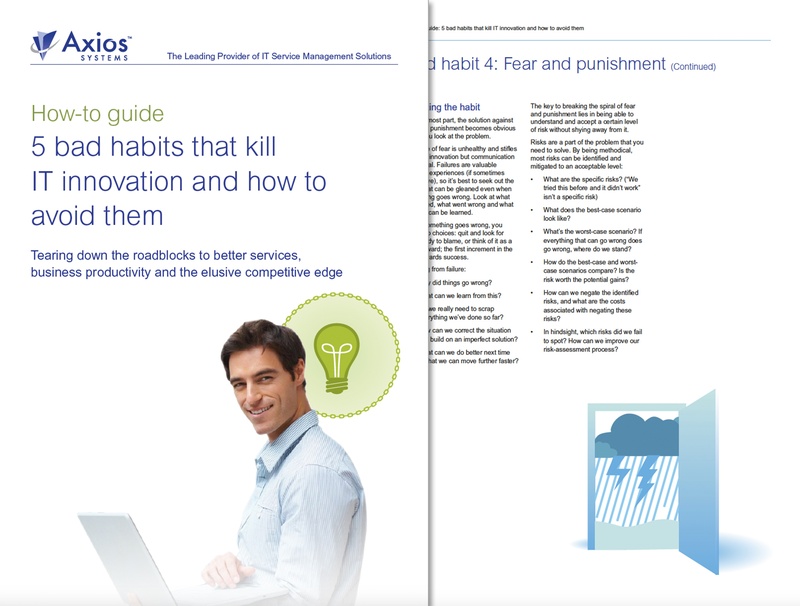 We look at the five bad habits in IT that prevent companies from turning great ideas into real innovations. How do you join the dots between game mechanics and real-life improvements in IT? 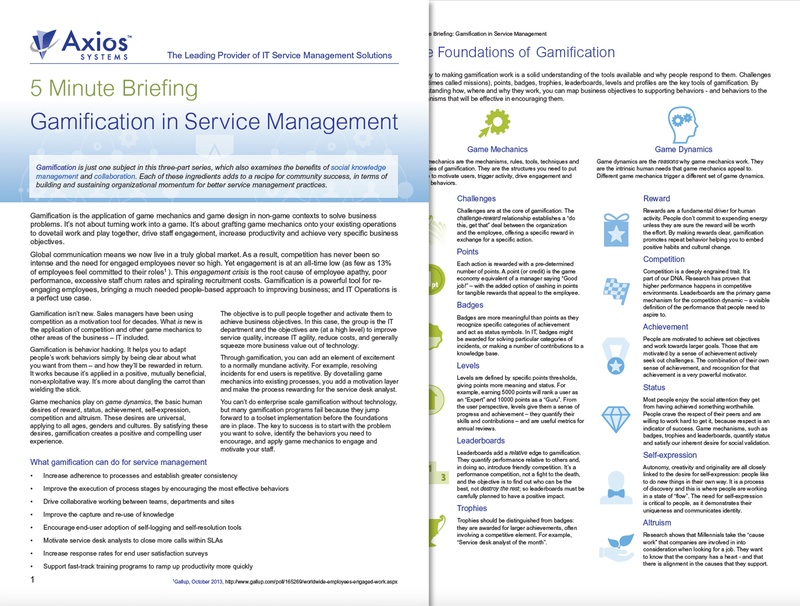 We look at gamified ITSM: the tools, where to use them, and how to plan out a gamification program. 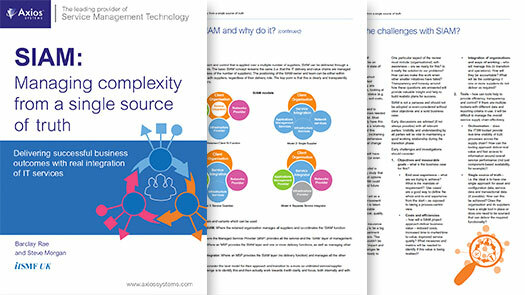 By capturing conversations about IT problems – as they happen – you can continually feed and refresh your knowledge base without adding additional stress to your people. 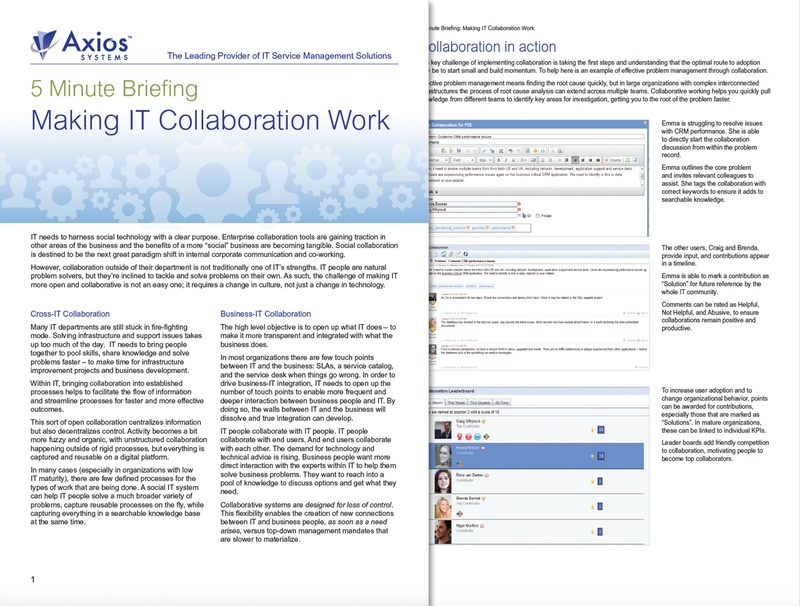 Enterprise collaboration tools are gaining traction in other areas of the business and the benefits are becoming tangible. But how will this next great paradigm shift impact IT? 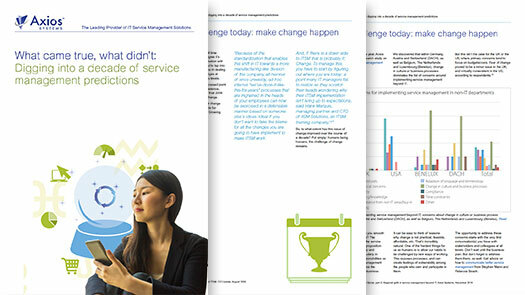 As businesses become more dependent on technology, the role of the service desk is evolving. 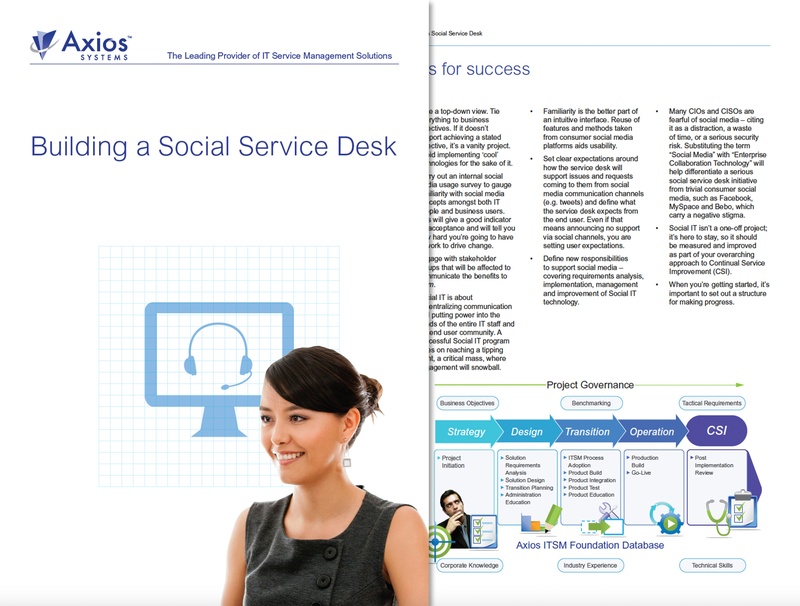 We look at the challenges service desk teams face, and the trends that are driving them. 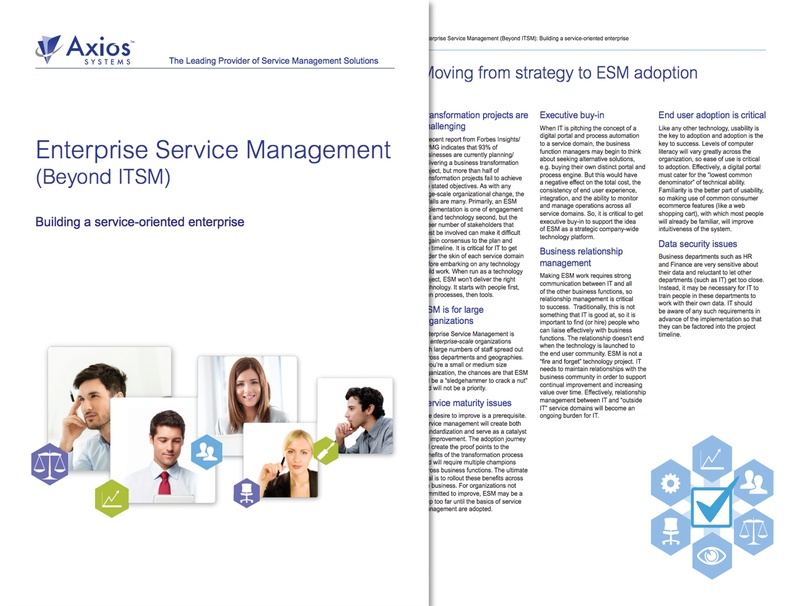 SaaS ITSM: Time to switch? Is your on-premise ITSM software delivering real value, or ruining your day? 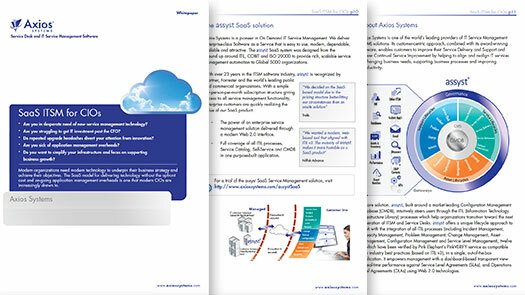 We measure and compare the SaaS vs. on-premise delivery models for ITSM software. 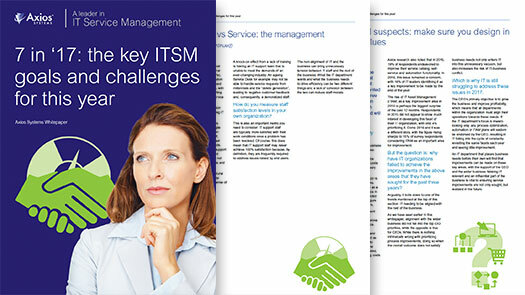 Having the right ITSM technology is critical, but many IT departments struggle with outdated technology. 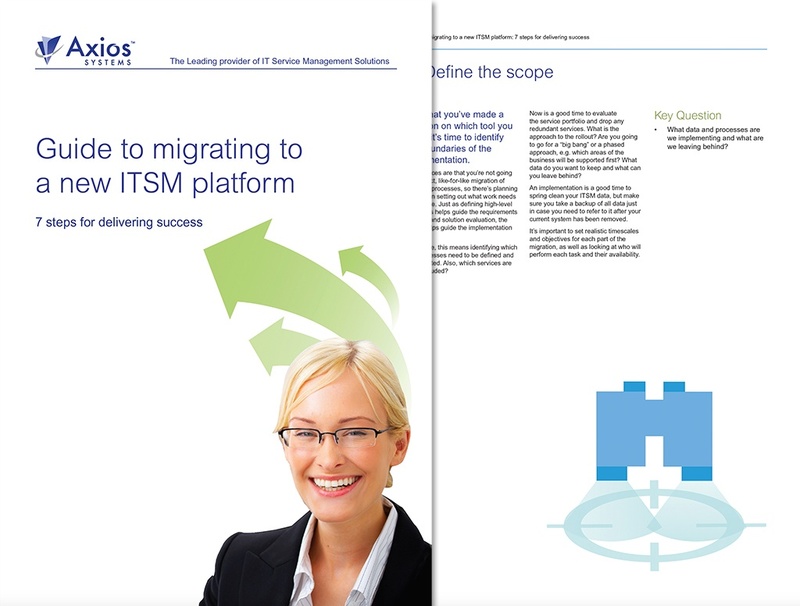 Read this guide for tips on a successful ITSM migration. 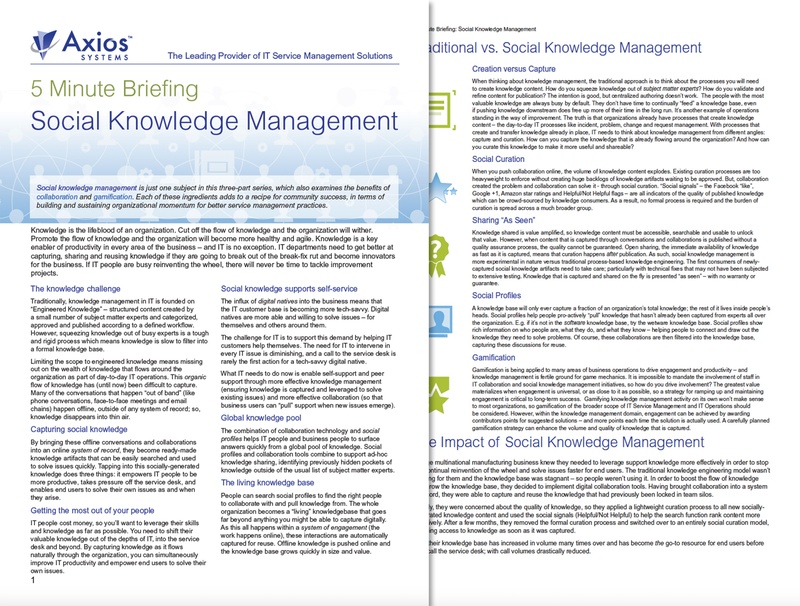 Social IT is cutting edge, but many organizations are struggling to work out where to start. 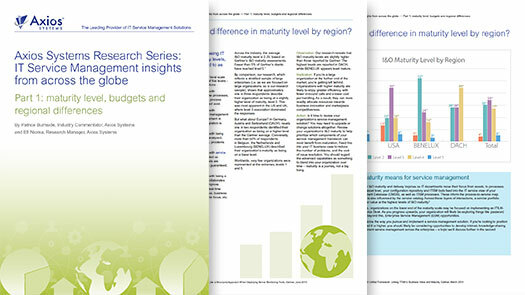 Read about the key concepts and how they can be applied to deliver tangible benefits. By integrating these two converging IT functions, organizations can streamline IT performance, reduce costs and enable "bigger picture" planning. 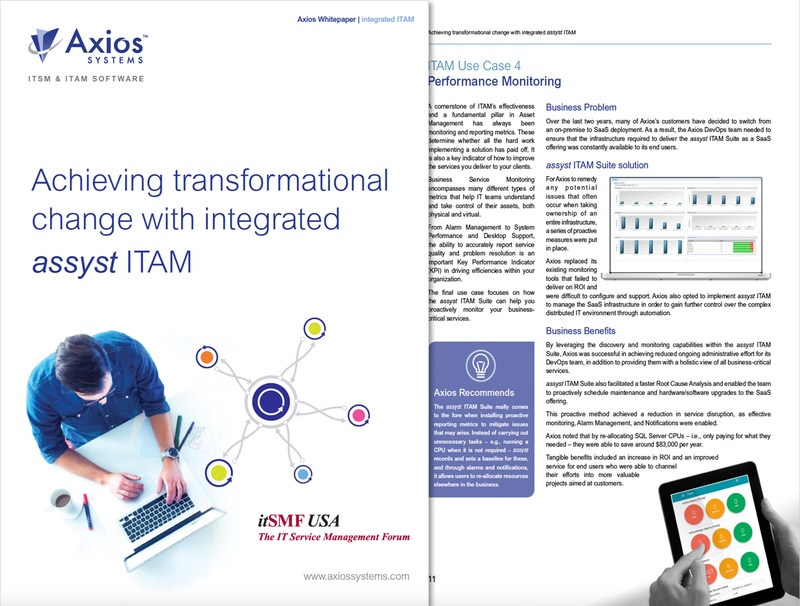 Discover how Axios Systems implemented its own integrated assyst ITAM suite: including software re-harvesting, patch management and performance monitoring. Sharon Taylor (Chief Architect of ITIL® v3) recommends practical steps for building a business case for a service catalog and measuring ROI to prove its value. 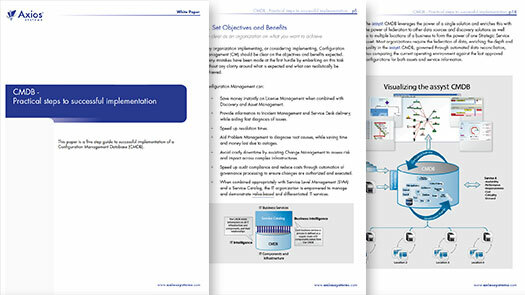 Implementing a CMDB is not as simple as simply switching it on. Find out about the five steps to a successful CMDB implementation. 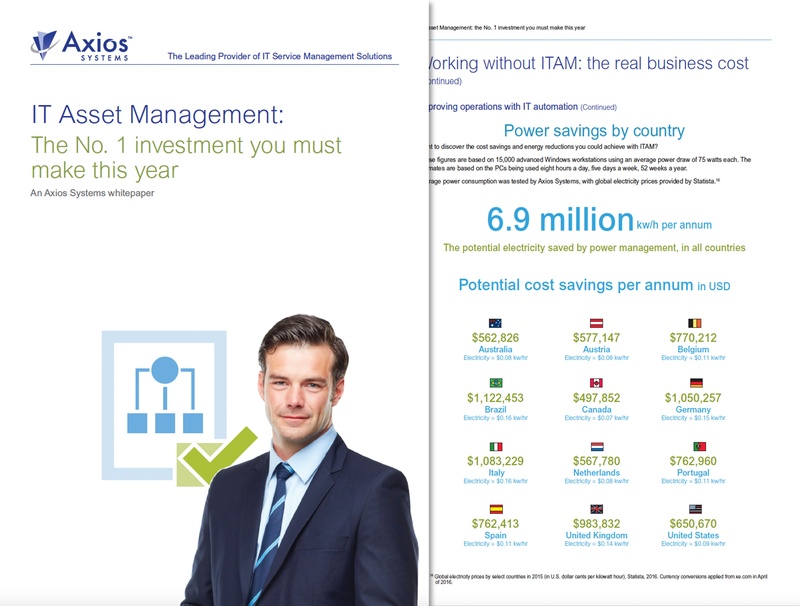 A CMDB underpins each ITSM process and empowers the IT department to deliver higher quality service and maximize ROI. 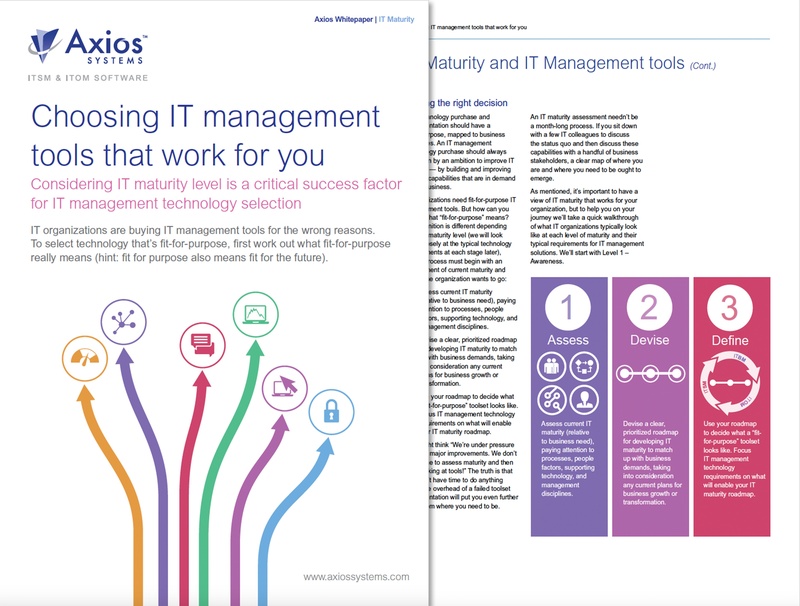 Sharon Taylor, Chief Architect of ITIL® v3, explains what you should consider when deciding where and how ITSM tools will support your IT and business strategy. 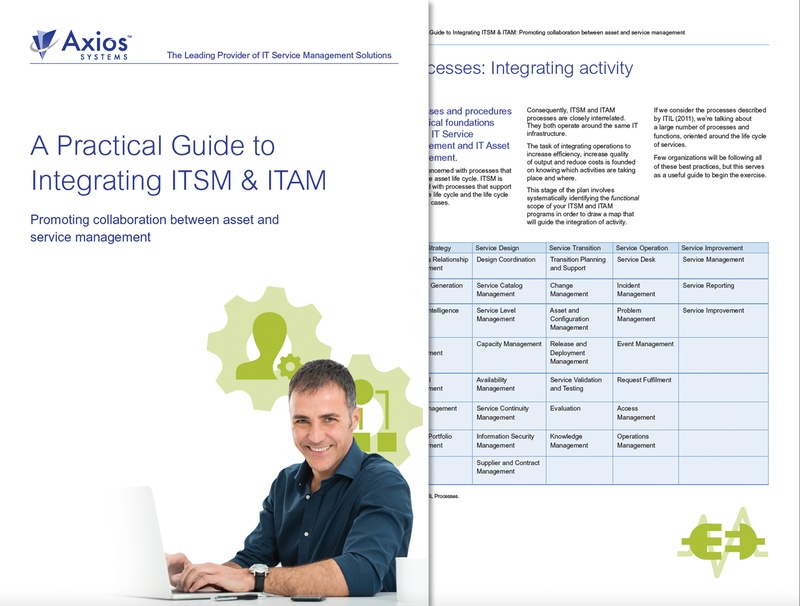 SaaS ITSM tools enable IT departments to move away from managing technologies and towards managing service supply chains that deliver outcomes that are responsive to the needs of the business. How to ensure your organization chooses the right service management technology at the right price - while avoiding the pitfalls that many other organizations have experienced.